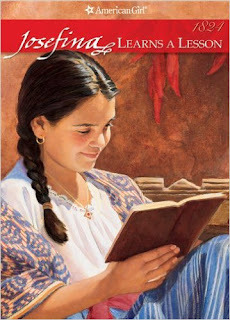 I am very excited to have just finished the reading comprehension guide for Book 2 in the Josefina series. Josefina has been a favorite of Lydia for a long time. She is excited that the local American Girl Club has cycled back around to this character. So I am creating a set of study guides to use with the books. permission from myself. Upload this file to a shared website (Ex.